HINSON Remote Clutch bleeder Line, C5, GTO, 4th Gen FBody "One Man Job" Remote Clutch bleeder Line NEW TO MARKET FOR MAY 2009!Bleeding the late model GM hydraulic system in it's stock form is a bear. You've got to have someone pump the pedal while you're under the car cracking the bleeder and hoping everybody's timing is right - not to mention keeping the reservoir full! It's easy to see how something so simple can quickly turn into a huge ordeal. 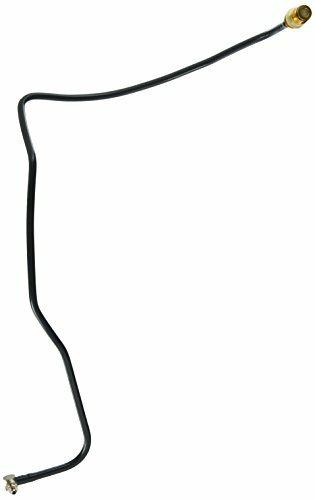 With our "One Man Job" Remote Clutch SPEEDbleeder Line, HINSON is taking great strides in making things much easier on you.At 4'+ in length, you're able to route the line to nearly anywhere on the car you want. Here in house, we usually zip tie it to a brake line coming out of the brake master cylinder so it's easy to reach with the hood popped. Another huge improvement is our SPEEDbleeder end -allowing you to simply crack it open one time and close it once the air is out of the system, instead of having to open and close the bleeder with every pump of the pedal. Instead of hassling with your hydraulic system every time you want to bleed it, rely on HINSON to make the job much easier for you with our "One Man Job" Remote Clutch SPEEDbleeder Line. A must-install next time you've got the transmission out of your LS1 F-Body, C5 Corvette or 04-06 Pontiac GTO. 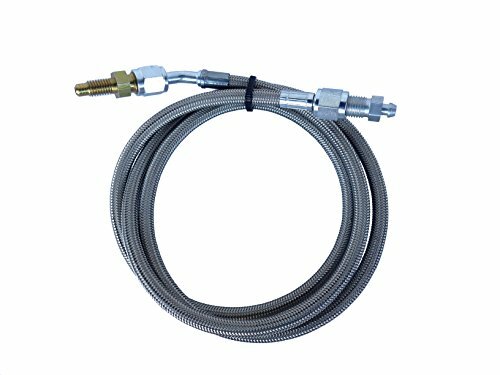 Centric Parts Clutch Hoses are designed to transfer the clutch fluid from the master cylinder to the slave cylinder for easy operation. They are made of rolling copper-coated steel strip and resistance brazed to transfer high temperature and high pressure fluids. 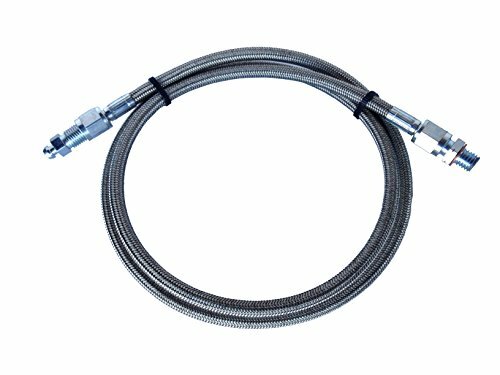 These hoses are double-walled and terne coated which resists corrosion and bending of tubes. 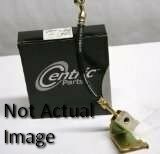 Brand: Centric | Manufacturer: CENTRIC PARTS, INC. 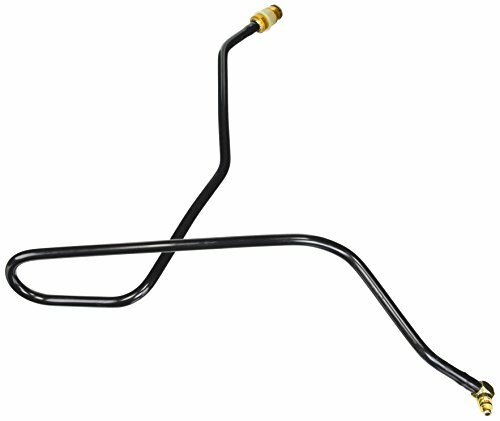 Engineered from high-quality materials to ensure chemical and thermal resistance, Dorman's Clutch Hydraulic Hose restores and maintains optimal clutch performance. 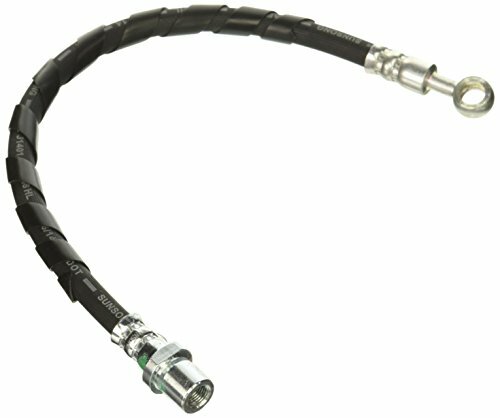 New hose replacement is recommended as part of a complete clutch repair for your vehicle. HINSON Remote Clutch Bleeder Camaro 5th Gen & 1st Gen CTSV Bleeding the late model GM hydraulic system in it's stock form is a hassle. You've got to have someone pump the pedal while you're under the car cracking the bleeder and hoping everybody's timing is right - not to mention keeping the reservoir full! It's easy to see how something so simple can quickly turn into a huge ordeal. With our "One Man Job" Remote Clutch SPEEDbleeder Line, HINSON Motorsports is taking great strides in making things much easier on you. At 4'+ in length, you're able to route the line to nearly anywhere on the car you want. Here in house, we usually zip tie it to a brake line coming out of the brake master cylinder so it's easy to reach with the hood popped. Another huge improvement is our SPEEDbleeder end - allowing you to simply crack it open one time and close it once the air is out of the system, instead of having to open and close the bleeder with every pump of the pedal. Why wrestle with your hydraulic system every time you want to bleed it? 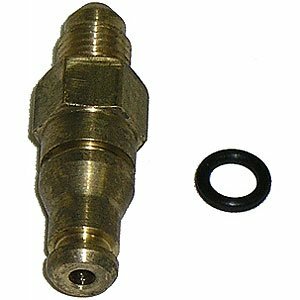 Rely on HINSON Motorsports to make the job much easier for you with our "One Man Job" Remote Clutch SPEEDbleeder Line. 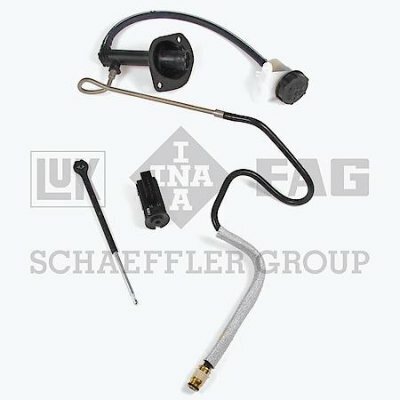 A must-install next time you've got the transmission out of your 2010-2014 Camaro SS or 04-07 CTS-V! 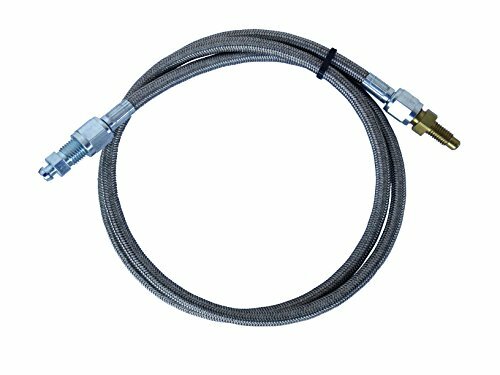 Dorman clutch hoses are made of multi-braided reinforced hose that is compatible with glycol and silicone based fluids for optimal performance. 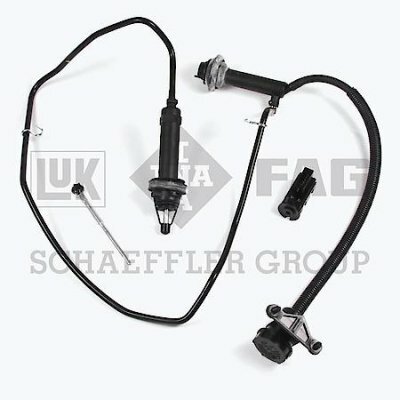 Clutch hoses are application specific, direct replacements. 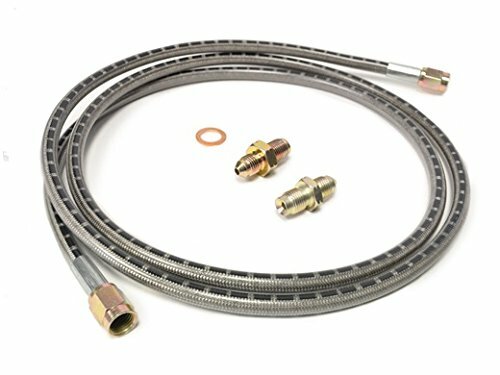 For racers and performance enthusiasts who want high quality plumbing that's lighter and easier to assemble than traditional braided steel hose, Russell is the perfect choice. For competition applications where reduced weight is needed, use our lightweight ProClassic Crimp-On hose ends. Bleeding the late model GM hydraulic system in it's stock form is a bear. You've got to have someone pump the pedal while you're under the car cracking the bleeder and hoping everybody's timing is right - not to mention keeping the reservoir full! It's easy to see how something so simple can quickly turn into a huge ordeal. With this "One Man Job" Remote Clutch SPEEDbleeder Line, Tick Performance is taking great strides in making things much easier on you. At 4'+ in length, you're able to route the line to nearly anywhere on the car you want. Here in house, we usually zip tie it to a brake line coming out of the brake master cylinder so it's easy to reach with the hood popped. Another huge improvement is our SPEEDbleeder end - allowing you to simply crack it open one time and close it once the air is out of the system, instead of having to open and close the bleeder with every pump of the pedal. Why hassle with your hydraulic system every time you want to bleed it? Rely on Tick Performance to make the job much easier for you with the "One Man Job" Remote Clutch SPEEDbleeder Line. 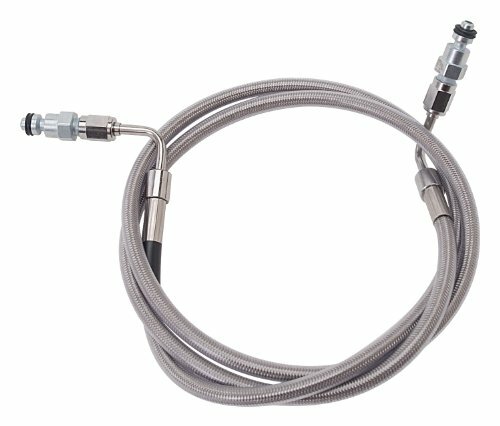 A must-install next time you've got the transmission out of your A must-install next time you've got the transmission out of your 2010-2014 Camaro SS or 04-07 CTS-V! Turn Clutch Bleeding into a 1 Man Job! STM Stainless Clutchline (Master to Slave) 3000GT VR4 & Stealth R/T Twin Turbo Z16A STM has teamed up with Goodridge to bring you our new Stainless Clutchline to run directly from your Master Clyinder to your Slave Cylinder. 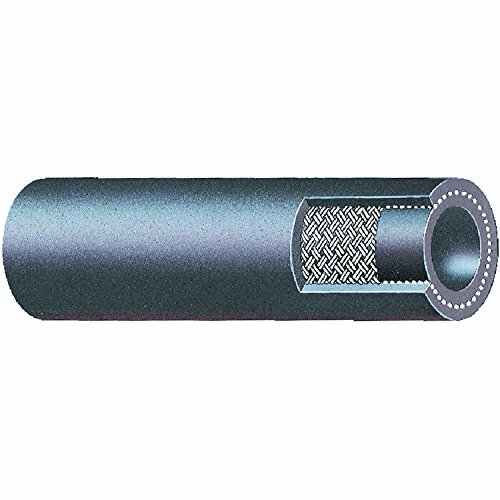 This will eliminate the stock rubber lines and the expanding/contracting related with them giving you firm, solid pressure. 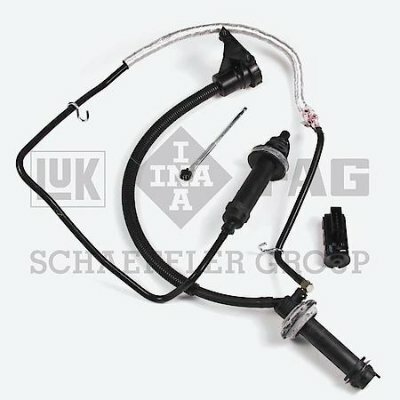 Not only does this replace the soft rubber section of the clutch line, it also replaces both hard lines as well. This line is much easier to work with as both ends feature -3 AN fittings so they come apart very easily when you want them to. Also being flexible means you can put it wherever you want. There is a little extra length to it so you can run it high or low to clear whatever setup you are running. It is also plastic coated so it wont scratch or wear through anything either. So if your factory line is starting look worn out and rusty, or if your fittings are getting rounded over from being removed before, or maybe your just looking for a nice piece to dress up your engine bay this is for you. 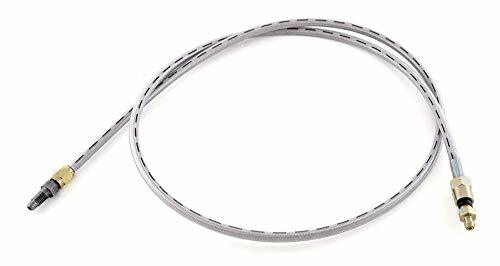 HINSON Remote Clutch bleeder Line, 05-08 C6 & Z06 "One Man Job" Remote Clutch bleeder Line NOW FOR C6 Corvette! Bleeding the late model GM hydraulic system in it's stock form is a bear. After you tear apart the car to gain access to the bleeder, you've got to have someone pump the pedal while you're under the car cracking the bleeder and hoping everybody's timing is right - not to mention keeping the reservoir full! It's easy to see how something so simple can quickly turn into a huge ordeal. 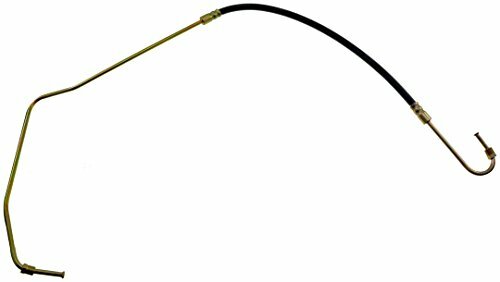 With our "One Man Job" Remote Clutch bleeder Line, HINSON Motorsports is taking great strides in making things much easier on you.At 4'+ in length, you're able to route the line to nearly anywhere on the car you want. Here in house, we usually zip tie it to a brake line coming out of the brake master cylinder so it's easy to reach with the hood popped. Another huge improvement is our bleeder end -allowing you to simply crack it open one time and close it once the air is out of the system, instead of having to open and close the bleeder with every pump of the pedal. Instead of hassling with your hydraulic system every time you want to bleed it, rely on HINSON to make the job much easier for you with our "One Man Job" Remote Clutch bleeder Line. A must-install next time you've got the transmission out of your C6 Corvette.